As a young woman Margot Genger had a breakdown and ended up in a mental institution. While the breakdown was real the diagnosis was wrong. After a year in her own, personal dark hole she shifted gears and became a long-haul trucker, with the goal of writing a book; a book to express her experience of the United States as seen from the cab of an 18-wheeler. Life, more particularly love, interupted her goal, but last year she finally published her book. 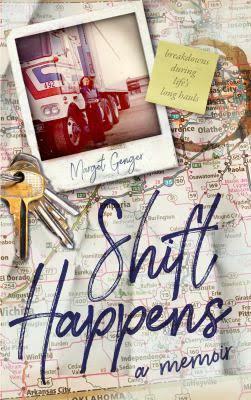 Shift Happens: Breakdowns During Life's Long Hauls is available at Northtown Books.